Fully furnished Office space available on rent in sector-63, Noida. Fully furnished Office space available on rent in sector-63 noida, Area-5300sqft, second floor, power backup, cabin, AC, lift, good location, Ready to move in. Flat available on rent in sector-33 noida, 3 bedrooms, 3 bathrooms, area-1600sqft, new construction, power backup, lift, complete wood work, 5th floor. 1 Bhk first floor kothi for rent in sector 49 Noida, attached bathroom drawing dining kitchen marble flooring complete wooden work. Urgent Required 4bhk in ATS Green Village…………. Sunworld Arista sector 168 Noida. ground floor 2bhk with attached bathroom ,drowing room ,dining room and a tv room attached with it. This is Complete 2BHK +Study in Noida Sector 77. This is project of Prateek Group. 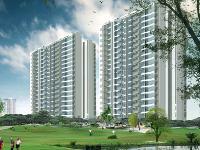 shubhkamna lords in sec -79,Newly launch project With all facilities. shubhkamna presents a new project in sec-79.